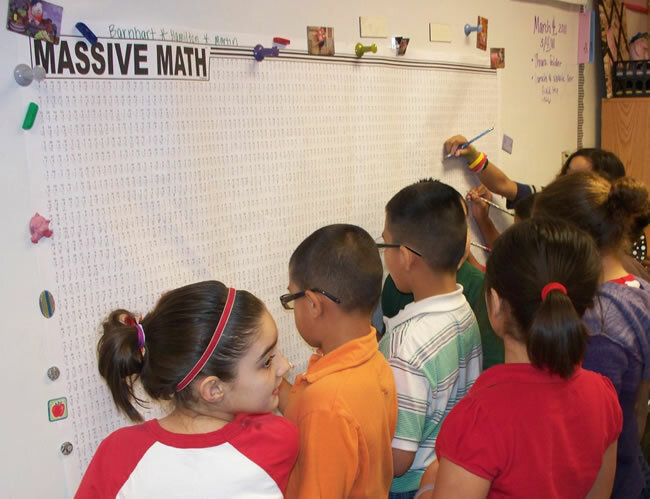 Massive Math is a ginormous math fact challenge, featuring over 4,000 math problems on a single 3 foot by 6 foot sheet of paper or laminate. One of the great things about Massive Math is that when it's completed it becomes a concrete testament to your students' ability to work as a team to accomplish a monumental task. Students love to see their completed posters displayed on a wall (the classroom wall is good; the hallway wall is better; the principal's office wall is just plain awesome)! So for permanent display purposes, paper is better. But if you just want to use Massive Math as a fun way for your students to practice their math facts, laminated is a good choice. 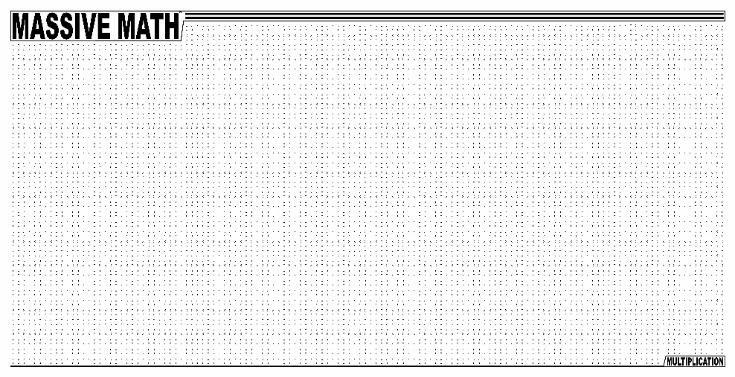 Laminated copies can be used and reused multiple times. And yes, they can be passed from classroom to classroom. Just remember: laminated copies do not last forever, and the more you pass them around the more damaged and worn they become. Ready for a Math Challenge? How about solving 100,000 math problems in 10 days! Learn about our Massive Math 100K Challenge.